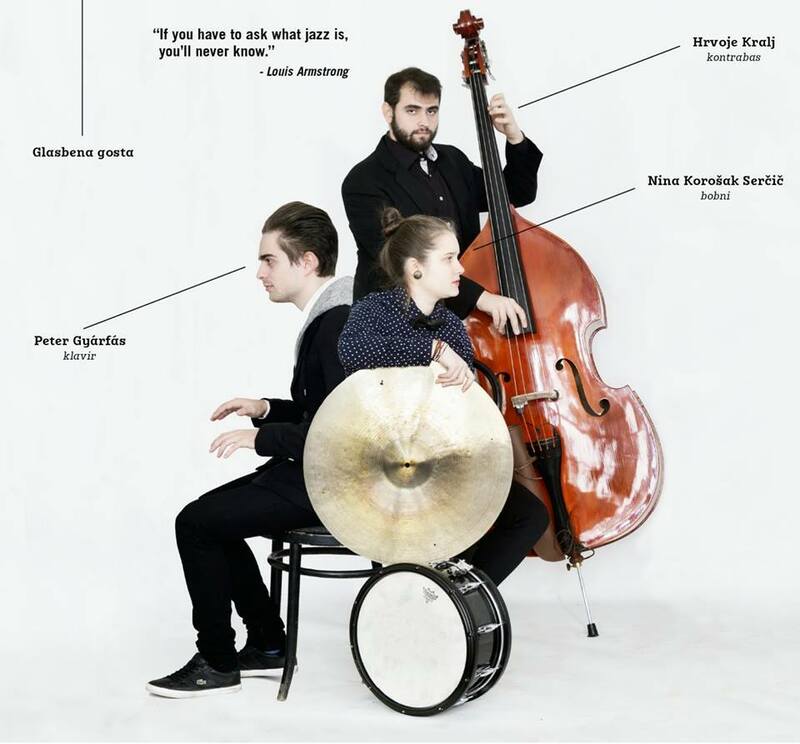 PeTrio It is a fresh-formed international jazz trio based in Graz. Piano player Peti Gyárfás who is also a main composer and arranger of the group is originally from Hungary, but he is living in Graz and also studding there for the last 2 years. His schoolmate, bass player Hrvoje Kralj is originally from Croatia, but also living and studding in Graz for the last couple of years. Nina Korošak – Serčič on drums is from Slovenia, but she is living and studding in Canada on the University of Manitoba. The strong desire of creating good music and good vibe brought then together. They are a regular opener band for two jam sessions in Slovenia, which give them a change to constantly play together and creating different shapes in music.